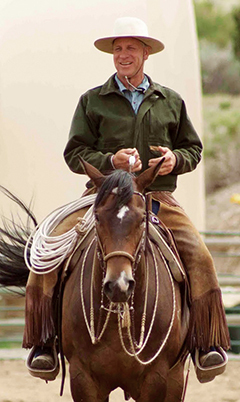 Buck Brannaman travels extensively throughout the country and the world each year, teaching an approach to training and riding horses that he learned from spending years as a student of the renowned horsemen Tom Dorrance and Ray Hunt. His natural horsemanship approach benefits all levels and types of riders, and has inspired and revolutionized the equestrian world. Due to the success of the highly acclaimed 2011 documentary Buck, a new awareness of his methodology has extended the reach of his wisdom far into the mainstream.